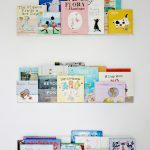 Back again with another installment of Babyhood for buybuy BABY! 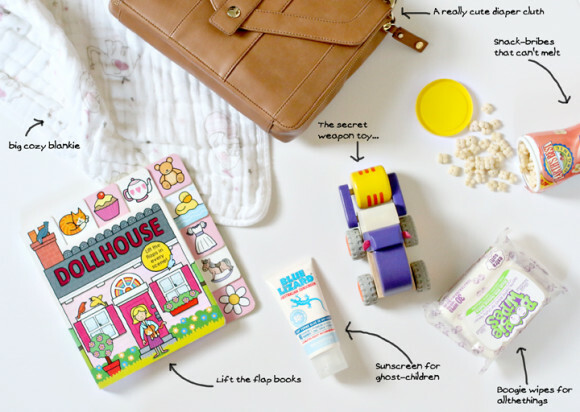 I love joining in with the other bloggers who are part of this series to share how buybuy BABY makes parenting our little ones easier, more stylish, and just a little bit more fun. 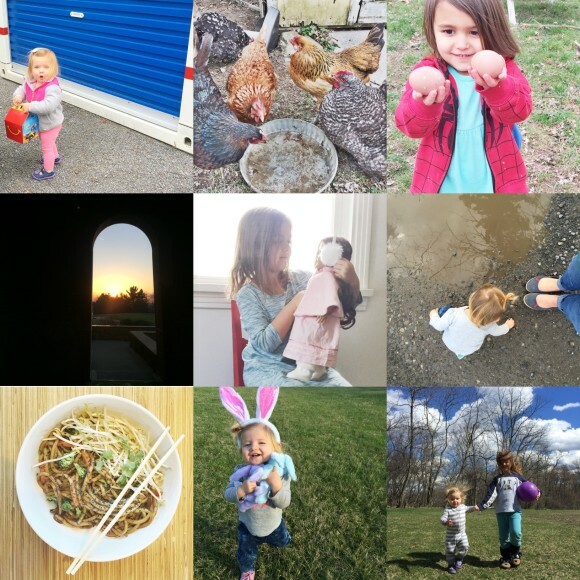 It’s interesting to see what everyone picks as favorite items- I love sharing what’s really useful in our lives right now and learning what works for other Moms. Thanks for reading! Phew- Is it really March 25th? How did that happen? Buds are on the trees and the days are more warm than cool. We’re spending so much more time outside which the hens and human girls love equally as much. Trading endless coloring and indoor play time with seasonally appropriate amounts of mud and dirt and sweat is such a refreshing change, albeit exhausting, and it makes me fall even more in love with our new property with every passing day. 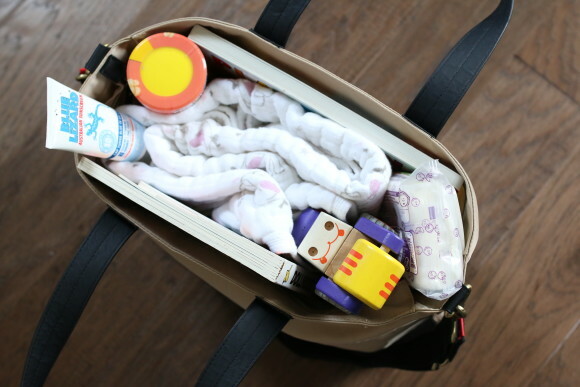 With spring adventures on the horizon I thought it’d be fun to share what I’m toting around these days as life with a 6, 4, and 1 year old changes and we figure out what our essentials are when we leave the house. It’s so much more simplified than it used to be – everything I carry has to serve a purpose (or multiple purposes!) or else it’s not worth it’s weight to lug around on top of three kids. 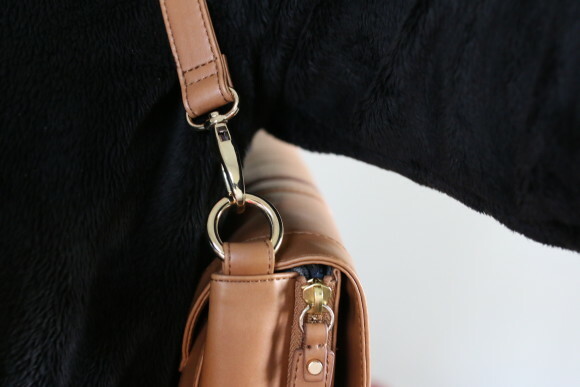 From the park, to museum dates and everything in between, these are my go-to things that stay in my bag pretty much permanently. 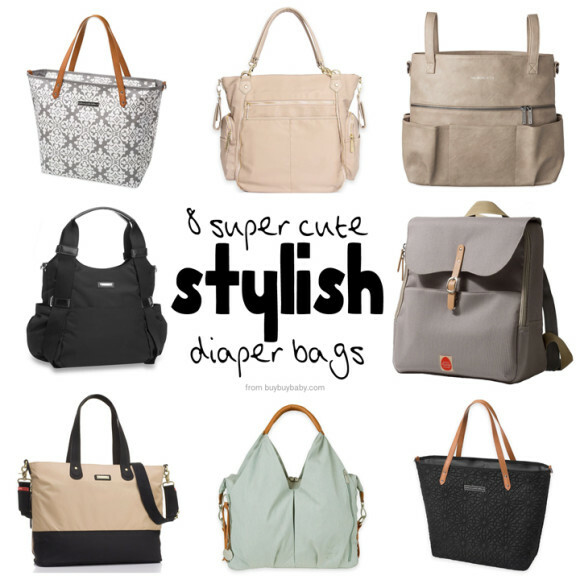 I fell in love with this StorkSac diaper bag as soon as I saw it online. 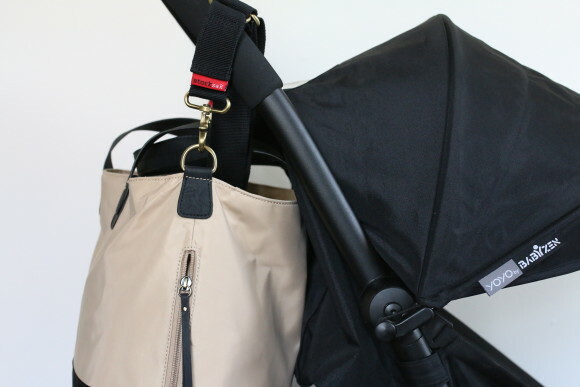 The colors, the pockets, the way it loops onto the stroller… It’s perfect! I love that it’s wipeable too… that’s a must. 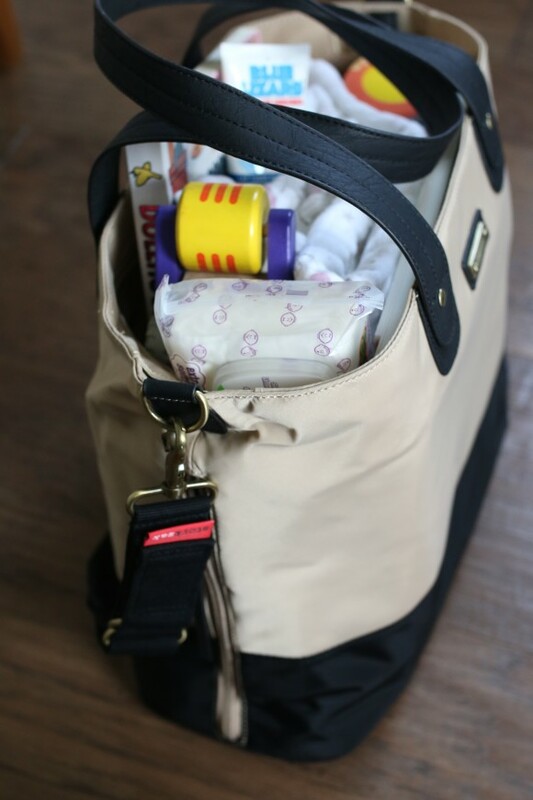 Side zip pockets on a diaper bag are a godsend for me. Even though we don’t use bottles, it’s the perfect compartment for any drink- my water bottle or a container of iced coffee. Even fits a few juice boxes right in there and I don’t have to worry about spillage or any leaking onto the contents of the bag. So what’s actually in there?? 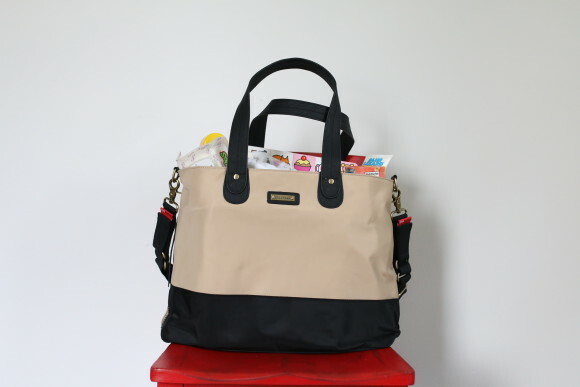 Besides diaps and wipes for Sally, I tote around some standard things and maybe some things other Mom’s don’t think is necessary (cough wooden cars cough big board books cough). When you really think about a “bag of tricks” I think two things come to mind- occupying crazy kids, and handling any uh-ohs. 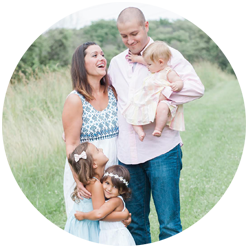 Boogers, too much sun, hungry toddlers, impatience, impromptu naptime needs. My go to blanket to keep in my bag is an Aden and Anais Dream Blanket. I might switch this out from time to time with the regular swaddles, especially when the weather truly gets hot. But this blanket is SO big and comfy and works for so many things; picnics, shade cover, pillow, rag, nursing cover, nap spot. It’s so versatile. 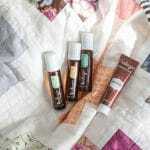 With Sally’s skin I have to have sunscreen on hand at all times and Blue Lizard works well for us. Then we’ve got all purpose Boogie Wipes (I bow down to the awesomeness of saline wipes!) 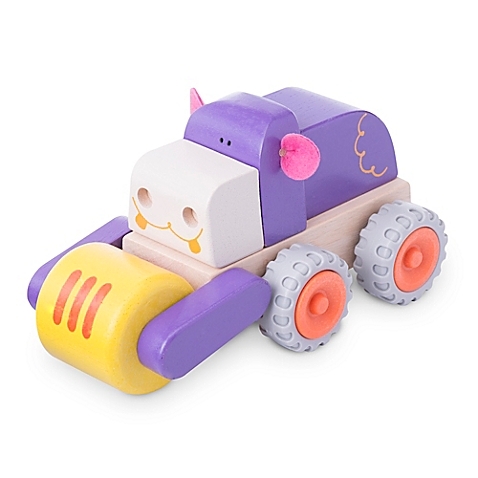 puffs, and my secret weapon toy… this simple little wooden toy truck. I don’t know what it is about these cars but my girls LOVE them and I only take them out in emergencies. 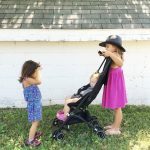 They don’t see it often so it’s fun and cool when they do get to drive it around and it can occupy them during long waits at the doctor or while waiting for a table at dinnertime. The other thing I use to occupy all the girls are lift the flap books! These particular ones are my favorite. There are SO many ways to read them (as seek and finds, as ASL practice, as drawing helpers, as a spelling game… there are endless ways to make this book fun). 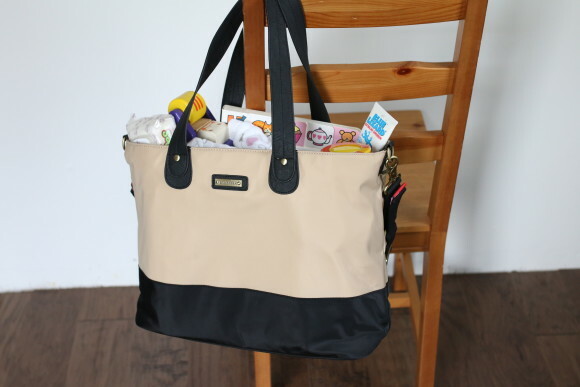 And then there is the new addition to my diaper bag stash that I just LOVE; this diaper clutch. 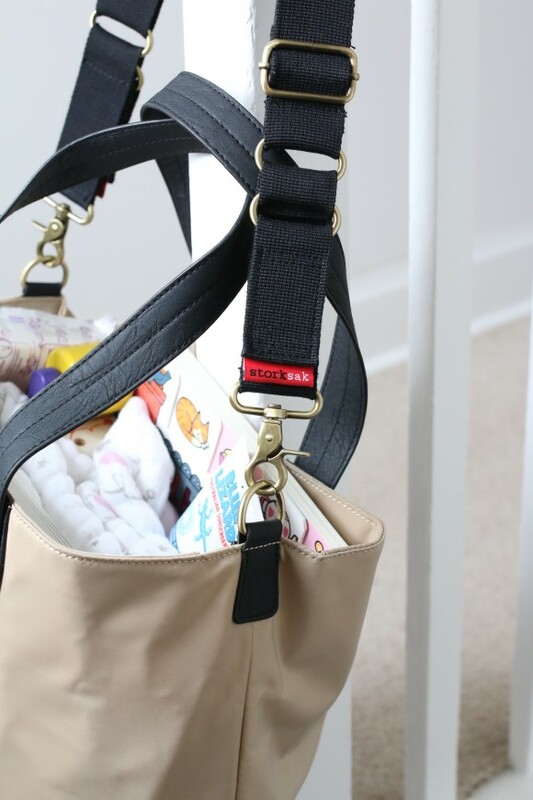 I love how it looks like a nice leather shoulder bag and looks so much more put together than toting around the big diaper bag. 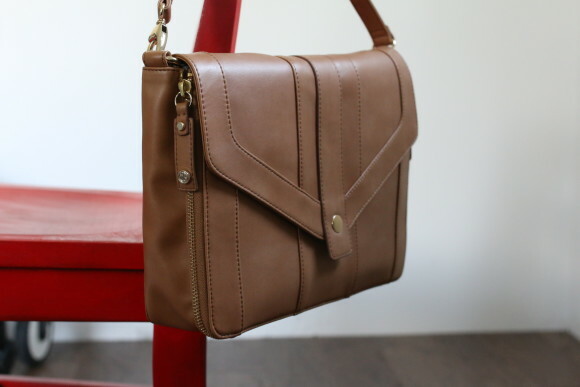 I can just pull this out of the car if I want to keep it simple and not lug around anything extra and it still looks classic and elegant. The way the changing mat zips in/out is so so good. My phone, wallet, diapers and wipes fit in here perfectly. 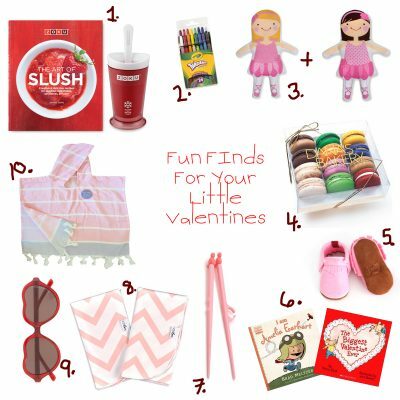 Essential Baby Gear: What to put on your registry!